How to Estimate Line Efficiency of a Garment Production? Line efficiency is a known term in the readymade garments sector. Line efficiency plays an important role to produce target garments production. Normally it’s done by industrial engineers. As its importance in garments manufacturing, today I will present here the estimation method of line efficiency for a garment production. Now, by applying all the above items in the below formula, an industrial engineer can easily estimate the line efficiency of a garment production. Now, one example is enough to remove all the confusions from the above discussion. 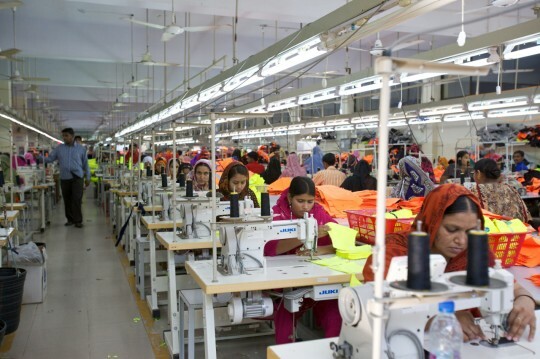 In Zara Fashion Ltd. a garment production line produced 300pcs Sweet shirt garments in 45 Standard allowed minutes (SAM) by using 40 operators, where working hours was 8. Now, estimate the lines efficiency for the mentioned garment production. Now, by using the following formula, industrial engineer can estimate easily the line’s efficiency of the mentioned garment production. Your IE concept is really good,I want new more concept of IE. Hello, this is after producing calculating of efficiency. This is normal. Please change your heading… it is not estimating it is calculating. what if there are multiple styles in a single line containing different SAMs? how can I calculate the efficiency?